Here at Nine Elephants, we want everyone to feel welcome and want our menu to cater to as many people as possible. That’s why we’ve put so much effort into perfecting the vegetarian options in our drink and dine experience. At the end of 2017, delivery service Just Eat published stats about its food orders for the year. Bear in mind, it has around 20 million customers. What did the stats say? There was a 987% increase in demand for vegetarian options over the past 12 months. There are plenty more impressive numbers where that came from too. Almost 10% of the UK’s population is vegetarian! Alongside this, the flexitarian diet is becoming increasingly popular – this is a trend whereby people make a conscious effort to consume less meat but don’t cut it out entirely. This small but mighty starter comes under our street food menu. We’re super excited for everyone to try our street food delicacies as we’ve put a lot of work into perfecting them. The corncake is flavoured with mild curry paste and boasts a medley of green beans and kaffir lime leaves – it’s then deep fried and served with sweet chilli sauce. What more could you ask for? Another item on the coveted street food menu, the aubergine bites are a wonder for the senses. The slightly salted vegetable strips are also deep fried and served with a sweet chilli dish, a combination that we think you just can’t beat. This is a great way to up your veg intake but also enjoy some delicious, comforting flavours. It’s pretty much what it says on the tin. 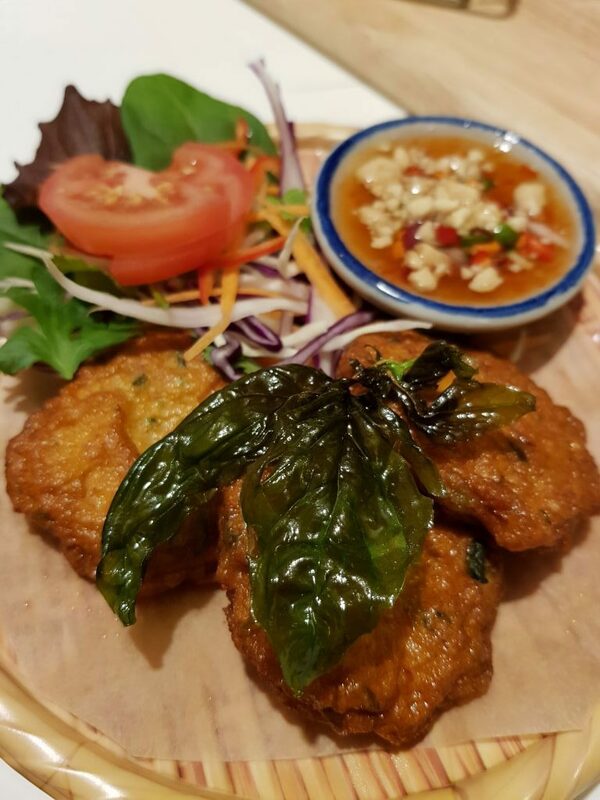 Expect glorious deep fried tofu with a Thai style garnish and served with our homemade dressing sauce. This is going to be one you’ll come back for, time and time again. If you want to get into Thai food, then this fantastic noodle dish is a great place to start. It’s hailed as a national dish in Thailand and the history of it is quite fascinating. 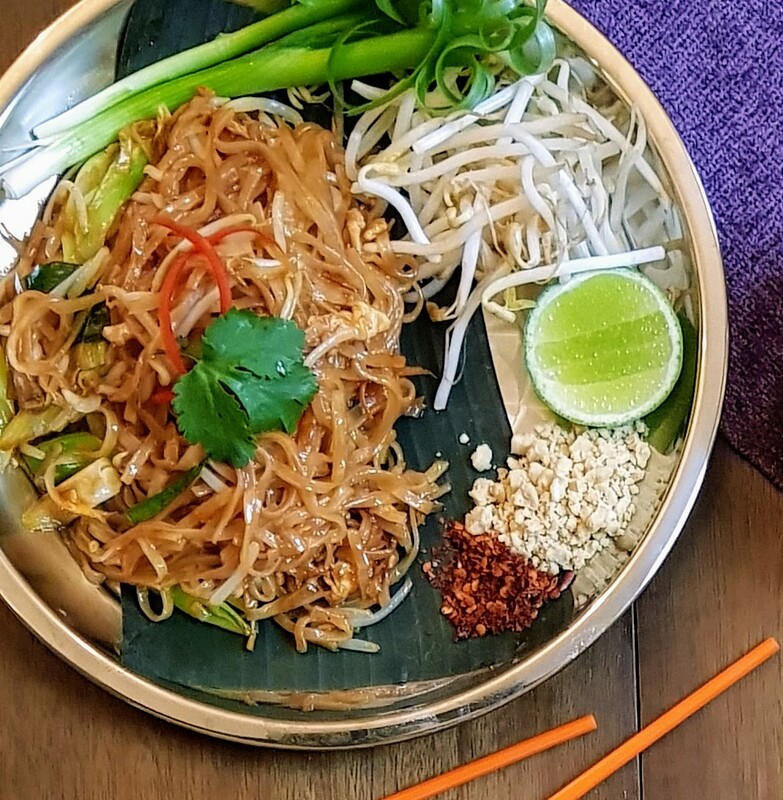 Let’s get your mouth watering: this main course contains stir-fried rice noodles with egg, carrots, sweet radish, spring onions and homemade “Pad Thai” sauce. Don’t forget that it’s served with peanuts, a slice of lemon and fresh bean sprouts too! All our curry dishes have a vegetarian, vegan and gluten-free alternative so you don’t have to miss out on your favourite. Whether it’s the ‘Great Green’ or ‘Duck-culent & Delicious’ that takes your fancy, we’ll be able to cater for your needs and serve up a delicious curry that isn’t lacking in substance or flavour. 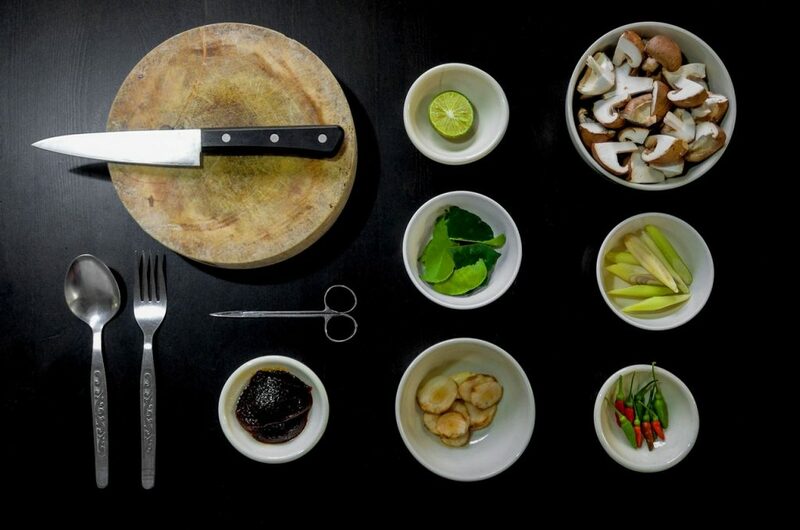 We also serve plenty of tasty and nutritious stir fries if you fancy something a bit lighter. Two of our favourite flavours are Basil Forest and Sweet & Sour Power. Both can be made into vegetarian dishes and are packed with authentic flavour. Whether it’s garlic, sweet chilli or a classic sweet and sour that tickles your fancy, your tastebuds will be satisfied with these concoctions.